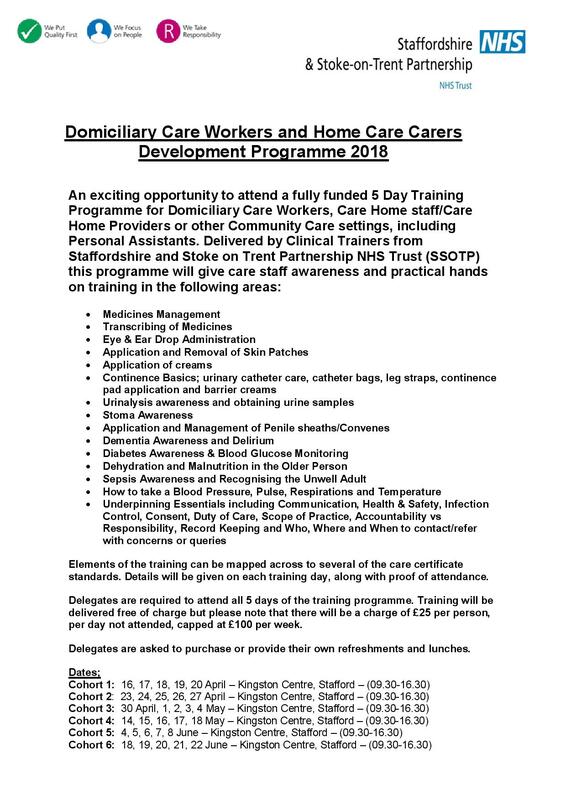 An exciting opportunity to attend a fully funded 5 day course for Domiciliary Care Workers and Home Care Workers. For more information see the flyers below and for an application form click here to download. We hope that this section will give you more information about our local team and about how Direct Payments work in Staffordshire. It may also help you to identify other areas of support and keep you updated of any changes to the Direct Payments scheme as we become aware of any. The Rowan Organisation has been providing support to Direct Payment recipients in Staffordshire for over 15 years. We have recently been successful in retaining the Direct Payment for another year however the contract varies from previous years in that we now support with Agencies and Equipment as well as employing your own staff. 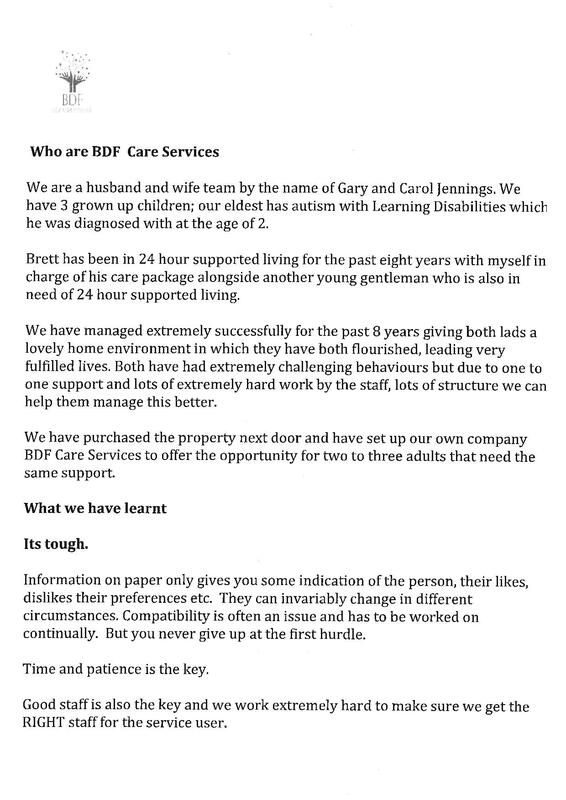 All information and Advice around recruiting your own staff is part of the specification however should you require support with Interviews, shortlisting and selection this would need to be agreed with your social worker as they will need to put additional funds into your account to pay for this service. This is called specialist recruitment. Our support is tailored to each individual’s requirements with the Service User being at the heart of everything we do. We have provided personal profiles of the Staffordshire Team. The Rowan Organisation has provided ongoing support to develop a peer group support within the Staffordshire area. ELITE (Enabling Living Independently Today & Everyday) was started with an interest shown by a few Direct Payments service recipients who got together and shared experiences. They have been supported by The Rowan Organisation but have continued to develop independently with minimal support. ELITE is a peer support group that is recognised for their knowledge and expertise (through experience) in Direct Payments. The Rowan Organisation continues to offer the opportunity to meet to provide mutual support to Direct Payments through ELITE meetings. Independent Living Advisors and Accounts Support Workers are happy to attend the peer group meetings also, in order to answer questions you may have about your Direct Payments package. SUN (Staffordshire Umbrella Network is a networking group of parents and carers of children with additional needs, voluntary groups and agencies, coordinated by Parent Partnership Service. SPPS is funded by Staffordshire County Council operating independently as a confidential service for parents and carers of children with special educational needs. For more information, please visit the SPPS pages on the Staffordshire County Council Website. The Staffordshire Parent Action Network helps parents and carers of disabled children under the age of 18 make a difference to the services offered to them in Staffordshire. Formed in 2010 with funding from Aiming High for Disabled Children and support from Staffordshire Parent Partnership Service, SPAN are a group of Staffordshire parents and carers who want to collect your ideas and opinions. SPAN meets on a monthly basis and also attend the meetings of many service providers where they pass on your comments to assist them in providing better services for disabled children. Staffordshire County Council has separate schemes for Children & Families and for Adult service users. The schemes run quite differently & require different levels of record keeping. The Direct Payments rate is currently paid at £10.37 per hour. This rate includes PA wages (gross), Annual Leave cover, Employers NI contributions, the cost of Employers Liability Insurance, a Payroll Service, Redundancy cover and SSP. Your Rowan Independent Living Advisor (ILA) is able to support you with setting an hourly rate for your PA whilst calculating and making allowances for any additional costs. The hourly rate that they suggest is assessed on an individual basis and calculated over an entire year. We would not recommend just setting a rate that someone else uses as this may not be appropriate for that individual's circumstances. Direct Payments for adult service users is means tested by the Fairer Charging team from Staffordshire County Council (SCC). The Direct Payments recipient would need to arrange to have a separate bank account for their direct payment. Payments are made from SCC every two weeks directly into the account. They would be expected to keep records on how money is spent. However, the Staffordshire scheme does not currently require service users to submit audits or quarterly returns like other local authorities. The Joint Finance Unit (JFU) conduct audits at the end of the financial year. For further information on the Staffordshire Adults Direct Payment Scheme please see links below or contact The Rowan Organisation's Information Service on 0800 7831755. Alternatively you can contact us by email or via the Feedback Form on this website. The Children's Scheme is a reimbursement scheme. This means that Staffordshire County Council (SCC) would require a completed reimbursement form to identify the amount spent. The service user is not expected to pay for anything themselves upfront, as SCC would pay an initial amount of 11 weeks money into the account. The family would make payments out of this "buffer" money then claim it back using the reimbursement form. It may sound complicated but, believe me, it really isn't. Your ILA will show you exactly how to do it. Under the Children's Scheme, the current Direct Payments rate given by SCC is £8.46 per hour. Additional payments can currently be made for Employer's Liability Insurance, protective clothing, P.A. 's training & cost of a Payroll Service. In some cases, activity fund or P.A. expenses money can be claimed. However, not all recipients receive this money; the panel will decide if it will be allocated or not. You can access additional information on the Children's Direct Payments Scheme on SCC's website. Again, your Rowan ILA will advise you how to use this money and of what records should be kept. If you employ your own care and support staff using a personal health budget (PHB), a social care budget or your own money you can apply to Skills for Care to get money for training for you and your personal assistant. The money that is available is called individual employer funding. Over 160,000 people across England are now employing Personal Assistants (PAs) to provide care and support for themselves or a loved one. With the benefits and flexibility of employing one's own staff comes the responsibility of being an employer. We know that this is often a new role for people and it can be a daunting prospect but Skills for Care is here to help make the process easier to understand. Skills for Care ensures that England's adult social care workforce has the appropriately skilled people in the right places working to deliver high quality social care. To achieve this, we focus on the attitudes, values, skills and qualifications that people need to undertake their roles. We have developed a range of products to help inform and guide you through the responsibilities that you have as an employer. Getting started and recruiting and keeping your staff. The Toolkit to help people employ their own personal assistants is a great starting point to give a general overview of everything you may need to know as an employer. It covers the following topics: benefits of employing a personal assistant, recruiting a personal assistant, before your personal assistant starts, managing your personal assistant, training and qualifications, sorting out problems and additional resources. Inducting and building relationships with your staff. Induction is the first piece of learning a worker undertakes and is an excellent way of introducing a new personal assistant to your way of working. It also gives you the chance to set boundaries early on and helps to build the foundations to a successful working relationship with your PA. This topic is explored further in the Personalisation and Partnership guide. 2. Personalisation and Partnership - a report looking at the various factors which can contribute to a successful and effective working relationship between you and your PA. A practical guide is also available to support this research. Once you have employed your PA you need to think about the training that they will need to work with you. Training ensures that your PA keeps up to date with practice, works safely with you and gives them additional skills and confidence. Skills for Care will fund any training, development or qualifications that demonstrate value for money and meet the needs of the individual employer and their personal assistants. All training or qualifications must be paid for and started before 31 March 2013. For more information and to apply for funding visit www.skillsforcare.org.uk/individualemployerskillsfunding or email funding@skillsforcare.org.uk. If your application is successful you will receive the funding directly into your bank account. This means you will be able to pay for your training before you attend. For more information on all the resources available for individual employers visit www.skillsforcare.org.uk/individualemployers or call 0113 245 1716 (9am-5pm Mon-Fri). Carematch service supports the agenda of the sector skills council - skills for care and works with local and national training providers to source training for both employers and employees in the Social Care and Health sector. To find out more about training, events and workshops please visit the Carematch events, resources and information page. Aspire (Stafford) Ltd are a specialist provider of responsive education, offering affordable education programmes for young adults with learning disabilities. Aspire develop individual training plans for clients so that their specific needs are met. This can be meaningful activity / socially based activities or a programme of education & independent living skills. Carematch is offering free e-learning courses to Personal Assistants, including Safeguarding, Dementia Awareness and more. 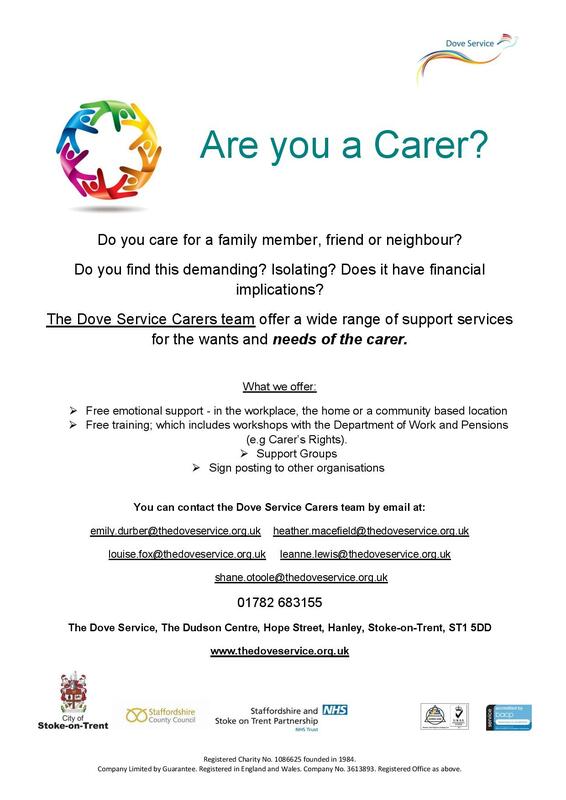 For more information, you can download their flyer, call Carematch on 0800 328 4122 or visit their website. Free distance learning courses available to PAs including Palliative Care, Preparation into Social Care, Safe Handling of Medication and more. 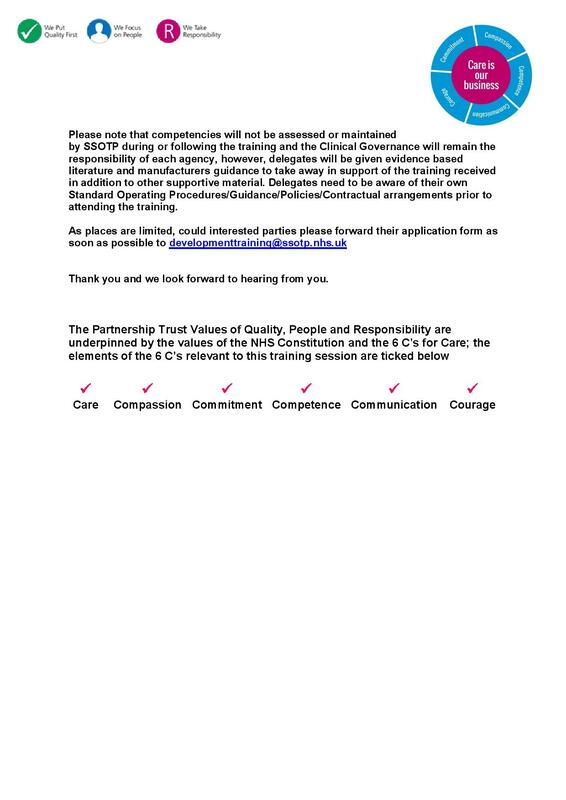 For more information you can contact Karen Weaver on 01785 760070 or email karen.weaver@sarcp.com. For further details please contact Lesley Powell (Matron) on telephone: 01785 812885 or email lil_48@hotmail.com. For details on courses available please contact 01543 472081 Rebecca@homeslimited.fslife.co.uk. Please call 01782 646346 to book or to speak to one of the sales executives or visit the website http://www.acaciaskillsacademy.co.uk. Acacia also have funding available for QCF Diploma Level 2 or Level 3 in Health and Social Care. Secure your places today by calling Julie Arrowsmith on Mob: 07891 589166 or Office: 01782 646346. Fully Funded Work Based Training from Progress to Excellence. 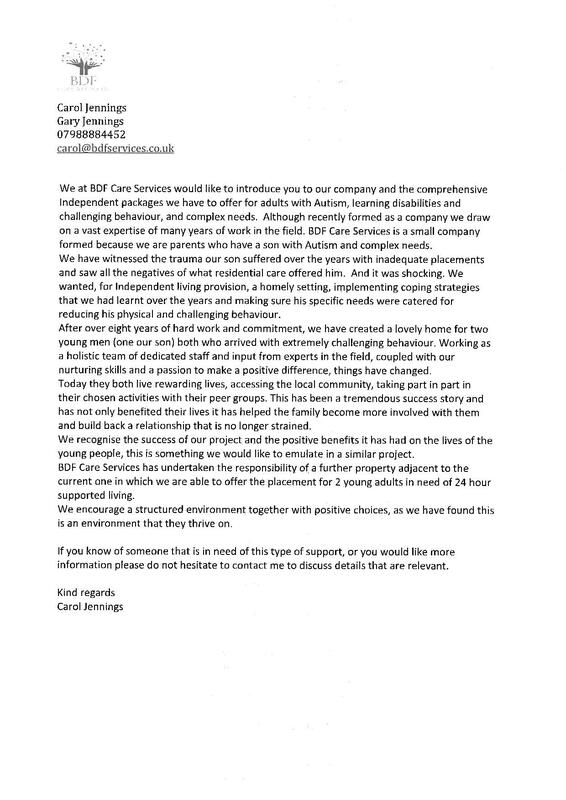 Progress to Excellence Ltd work with many care organisations throughout the UK delivering work based learning, free of charge. They have a team of skilled trainers / assessors whose skills profiles are matched to customer requirements. Support and training is available to all sizes from micro employers to national organisations across public, private and charity sectors. Progress to Excellence has a direct contract with the Skills Funding Agency to provide funded training. Individuals undertaking a course are entitled to 4 free Social Care TV e-learning modules in addition to their chosen Diploma. To be eligible for funding, staff must be employed and aged 16 or over (with no upper age limit), have no higher level qualifications (such as NVQ level 4 or 5, or hold a degree) and work at least 25 hours per week, however in certain circumstances this can be reduced to 16 hours per week. They must also have resided in the EU for the past 3 years. For more information on courses available you can call their sales team on 0151 650 6933, email sales@progresstoexcellence.co.uk or visit www.progresstoexcellence.co.uk.